GODDARD in [Burkes LG, 1838]. See pp.323-330. A memoir of the Goddards of North Wilts. by Richard Jefferies (1873). See p.42. Goddard wills on pp.289-292 and pp.327-334. Goddard wills on pp.11-15 and 85-89 and 103-107 and 183-190 and 231-238 and 252-269. 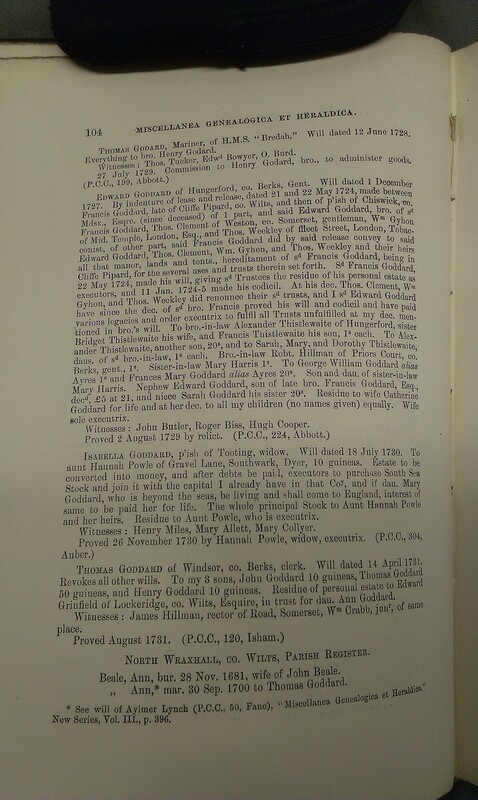 Goddard genealogy in England and America by Goddard and Holmes (1917). 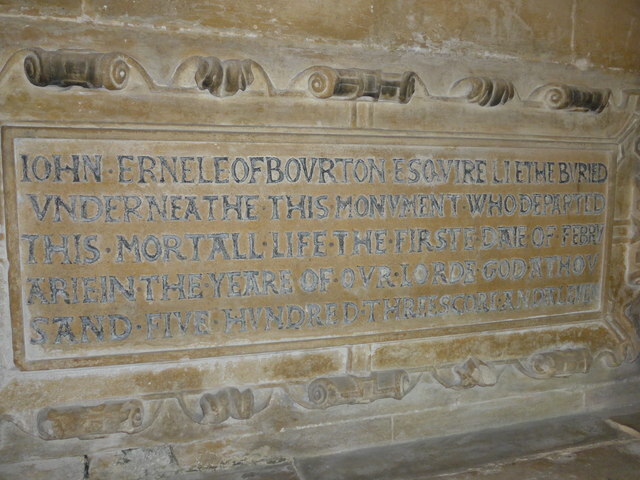 Monument to John Ernley (died 1571). Church of Bishops Cannings, Wiltshire. of Ogbourne St. George, Wiltshire. He mar 2ndly to Jane Ernley. 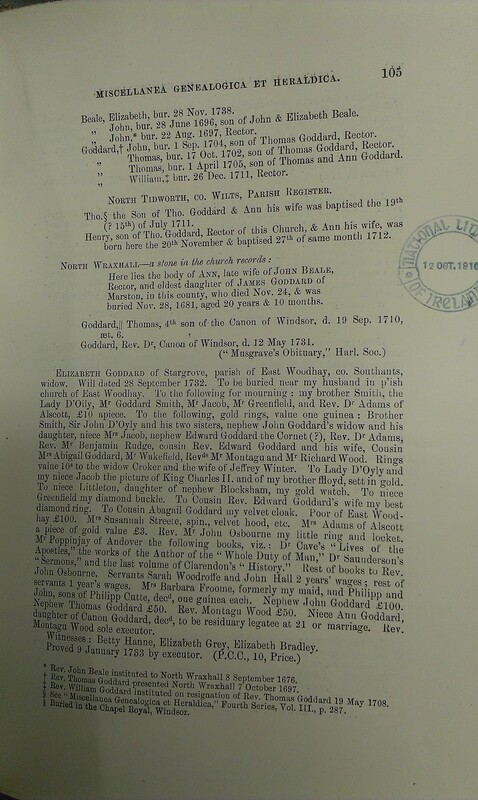 She was dau of John Ernley, or Ernle, of Cannings, Wiltshire, and Earnley (or Ernley), Sussex. 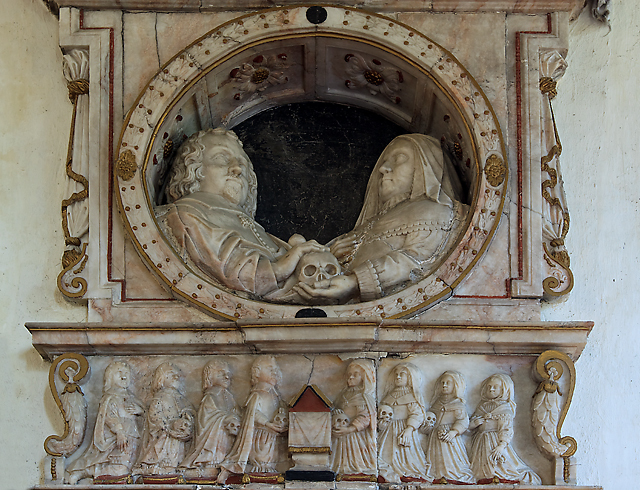 There is a monument to John Ernley ("John Ernele"), who died 1 Feb 1571, in church of Bishops Cannings, Wiltshire. 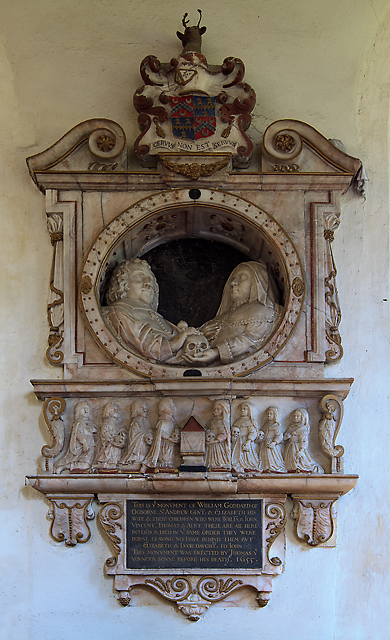 There is a monument to William and Elizabeth in St. Andrew's church, Ogbourne St Andrew, Wiltshire. Erected by their son Thomas Goddard before his death in 1655. Monument to William Goddard (died 1603). St. Andrew's church, Ogbourne St Andrew, Wiltshire. Photo 2012 by Mike Searle. From Geograph. Close-up of monument to William Goddard (died 1603).